Manufacturer of a wide range of products which include garden sprinkler, hdpe sprinkler irrigation system, sprinkler irrigation system, sprinkler system, water sprinkler and rain pipe. The Spray Irrigation Kit uses RAIN HOSE. This is a "Do It Yourself Kit". No professional is required to install the kit. The kit contains all the parts required for spray irrigation for a given area. 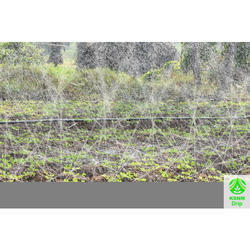 Rain Hose is an affordable spray irrigation technology. It is a flexible hose with a pattern of drip holes. It is easy to install and maintain. These drip holes are made with nano punching technology to ensure uniform flow of water. 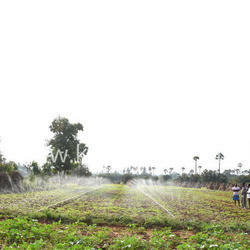 Rain Hose is suitable for closely spaced crops, onion, vegetable crops, leafy vegetables, groundnut etc. 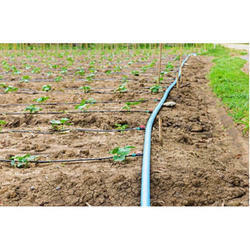 Total length of Rain Hose required per acre is 800 meters. All the necessary fittings are included in the Kit for easy installation. Only PVC pipes of 2" diameter(63 mm) is required. The sample layout field installation diagram is given below for reference. The Components of the Spray Irrigation Kit - 500 Sqm is also given in the table column below. Suitable for Closed Spaced Crops like Onion, Groundnut, Greens, Vegetables etc. 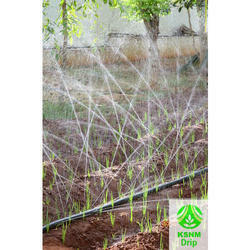 Rain Hose is an affordable spray irrigation technology. It is a replacement for Sprinkler Irrigation System. It is easy to install and maintain. 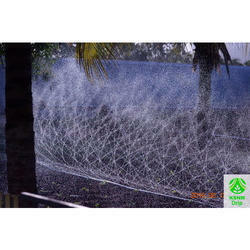 Rain Hose is flexible hose with pattern of drip holes. These drip holes are made with nano punching technology to ensure uniform flow of water. 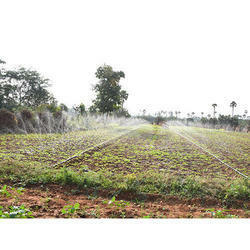 Rain Hose is suitable for closely spaced crops, onion, vegetable crops, leafy vegetables, groundnut etc. 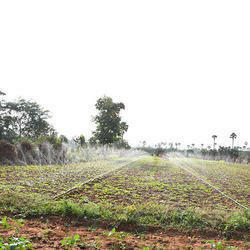 Being a noteworthy enterprise of this industry, we are offering a wide spectrum ofSpray Irrigation Kit - 2000 Sqm - 1/2 Acre. Total Gross Weight 32 Kg.